Disclosure: This is a sponsored post on behalf of Folgers® but all opinions expressed here are my own and I hope you liked them. I love my husband, and he loves his Folgers®. I decided to partner his love for Folgers®, myself, and my addiction to chocolate in a gluten free dairy free recipe for ganache cake that you can make in minutes without an oven. I know! Hold on to your seat for a treat that is quick and easy and in my kids words “Mom, this is awesome it tastes like heaven.” I loved the raspberries, but you could also do strawberries. Oh did I mention it is a microwave chocolate cake recipe. I know people calling on Folgers® as the best part of waking up. They pour it in their cup to greet their day and to be able to get through that work assignment, homework assignment or just because they love it. I know my Folgers® brings me comfort, energy and, that piece of optimism that I need to tackle whatever life hands my way. 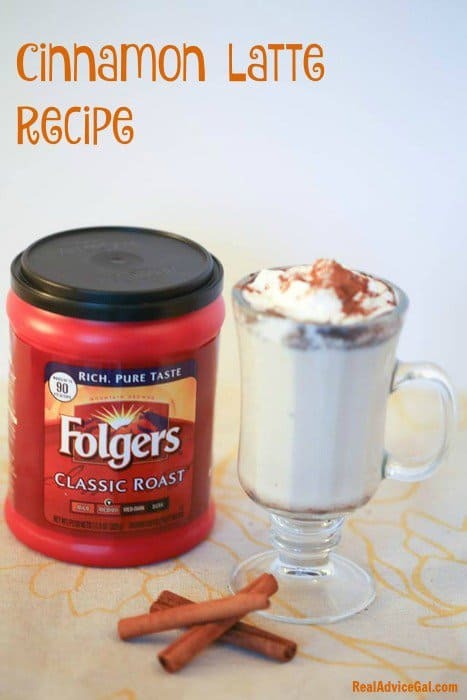 Folgers® is a family tradition in our home that means that every holiday I have to have it in our cabinet, you can check out how I set-up a Folgers® Coffee Bar. I mean my parents call ahead to ask if we have Folgers® on hand. We always do! I decided that I could use what I have in my cabinet to whip up something special. The only thing I had to buy were the fresh raspberries, but I could have used the frozen ones I keep for smoothies. This year I wanted Valentine’s day to be special. I wanted my kids to help me make a gluten free dairy free dessert for their dad. I knew it should not involve the oven or stove. It should be easy to make and not that many steps. I also knew the pay off had to be the flavor. I knew Folgers® had to be a component of the recipe. This is what I came up with and what I truly believe will become your go-to dessert because you have all of these items on hand and because everyone wants to be able to make an awesome dessert in ten minutes that looks like it took you hours. I mean who has hours these days? Recipe Icing not necessary but is the best! 1. 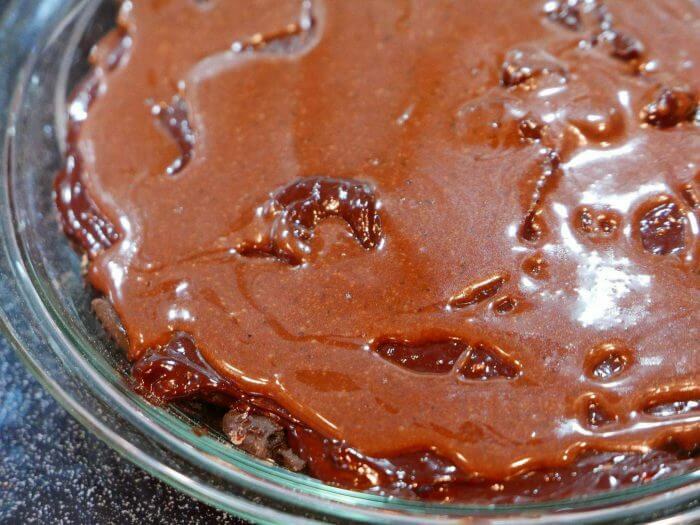 Place the eight oz of bakers chocolate in a microwave safe bowl. Microwave it for two minutes then stir. If it isn’t melted, put it in for another 30 seconds until it is melted. 2. Then add in 1 cup of whipped cream I used this non-dairy version. 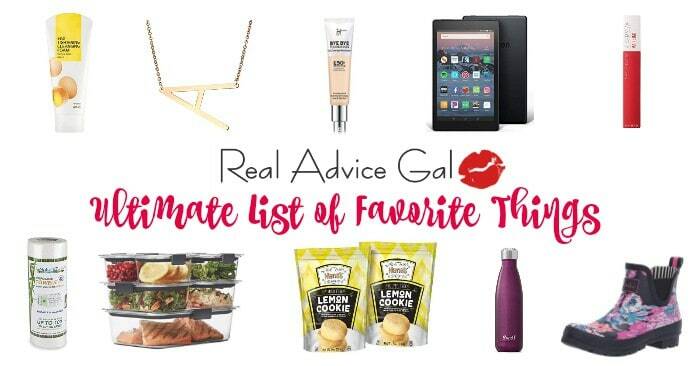 I always have rice milk or soy milk on hand and since my husband is gluten and dairy free. I wanted to make a recipe he could enjoy. 3. 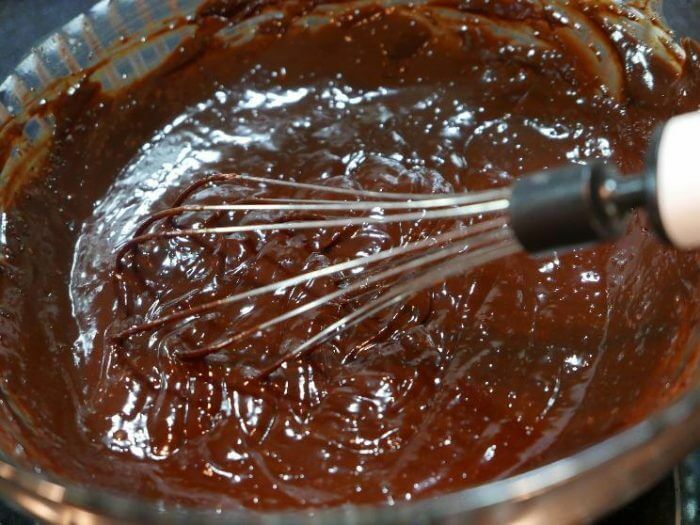 Then whisk the cream into the chocolate. 4. 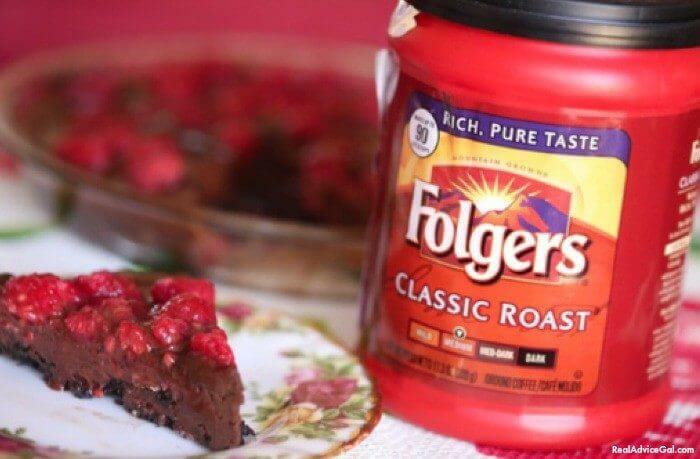 I then added 2 Tablespoons of Raspberry Jam and 1 Tablespoon of Folgers® I used the dark roast. You can use any flavor Folgers you like. It gives the chocolate a rich flavor. I would suggest trying some of their gourmet flavors to give this easy recipe for ganache cake a twist. 5. Then you will need to make the crust. You can buy a crust a chocolate one is what I would suggest or if you are like me find some gluten free and dairy free cookies and just crumble them up in a pie dish. I know isn’t that easy? 6. Then you will pour the Chocolate Ganache on top of the pie crust. 7. You will then begin to make the icing. 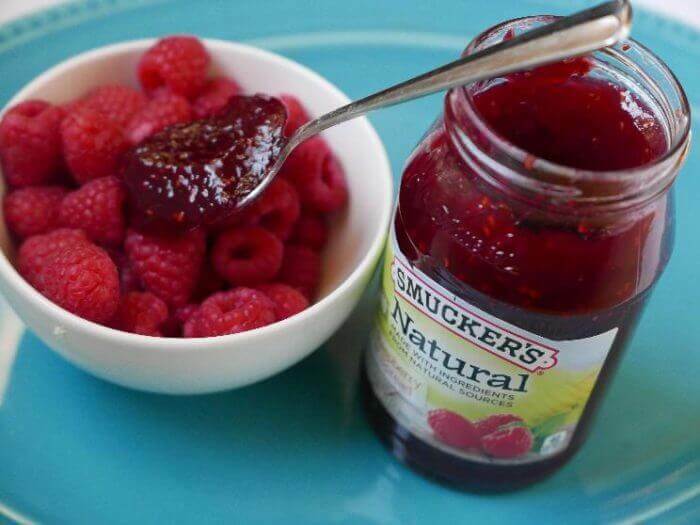 If you do not want the icing, then place your Raspberries in a bowl with 2 Tablespoons of the Raspberry jam and 1 Tablespoon of water and mix it up. I used the Smucker’s Naturals. 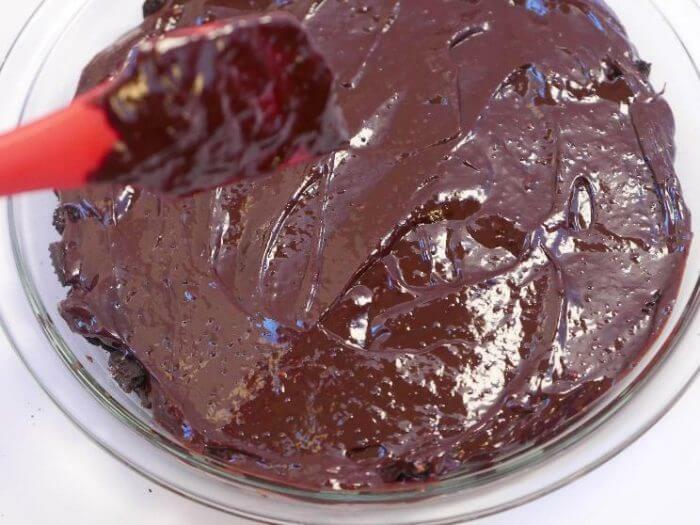 You can save this mixture to put on top of the icing, or you can place this directly on top of the Recipe for Chocolate Ganache that you already made. 8. The icing is easy peasy with the bag of buttercream icing from Pillsbury. I added 1 Tablespoon of Folgers® in the icing, and I added a butter alternative instead of butter to have a dairy free icing. Then I placed it on the chocolate ganache that I made in the microwave. 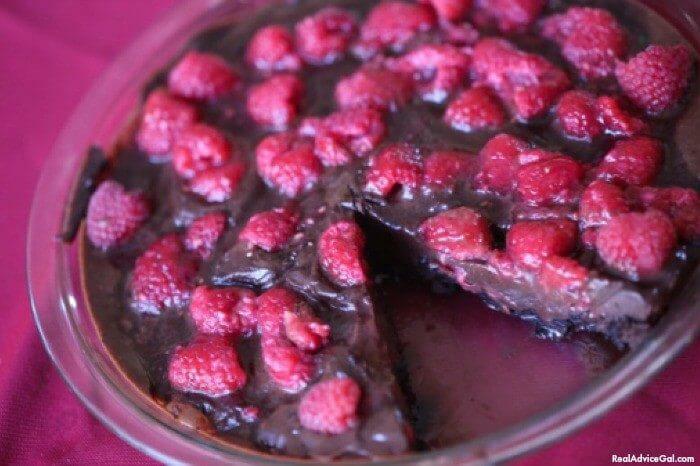 I placed the raspberry mixture on the top and then it went into the refrigerator for 4 hours until it was firm. This is an amazing recipe. I can’t tell you how many requests I had for seconds and thirds. Serve this with my yummy Cinnamon Latte Recipe. I hope that you will find this recipe for an easy chocolate ganache a recipe that will become a family tradition for years to come. I know it will be in our house my children have already decided it is their birthday cake. This easy Coffee Chocolate Raspberry Ganache Cake recipe is so delicious and you can make this in your microwave. 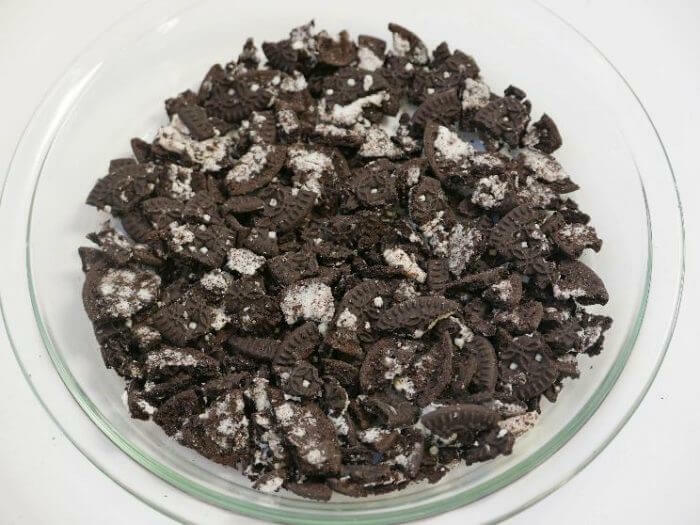 Place the eight oz of bakers chocolate in a microwave safe bowl. Microwave it for two minutes then stir. If it isn't melted, put it in for another 30 seconds until it is melted. Then add in 1 cup of whipped cream I used this non-dairy version. I always have rice milk or soy milk on hand and since my husband is gluten and dairy free. I wanted to make a recipe he could enjoy. Then whisk the cream into the chocolate. 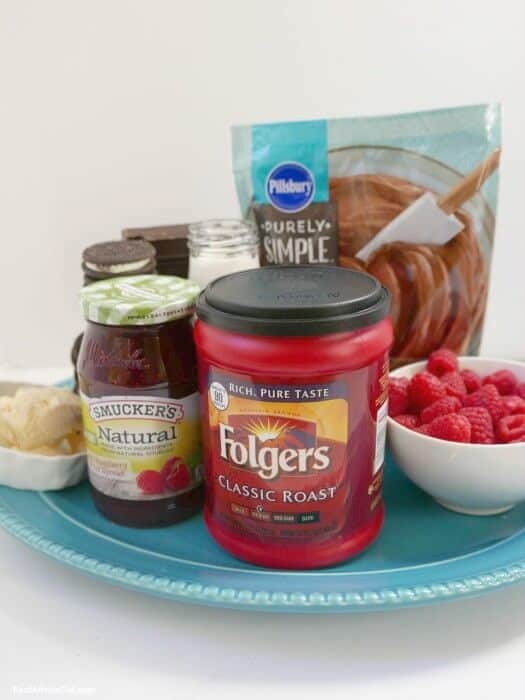 I then added 2 Tablespoons of Raspberry Jam and 1 Tablespoon of Folgers® I used the dark roast. You can use any flavor Folgers you like. It gives the chocolate a rich flavor. I would suggest trying some of their gourmet flavors to give this easy recipe for ganache cake a twist. Then you will need to make the crust. You can buy a crust a chocolate one is what I would suggest or if you are like me find some gluten free and dairy free cookies and just crumble them up in a pie dish. I know isn't that easy? Then you will pour the Chocolate Ganache on top of the pie crust. You will then begin to make the icing. 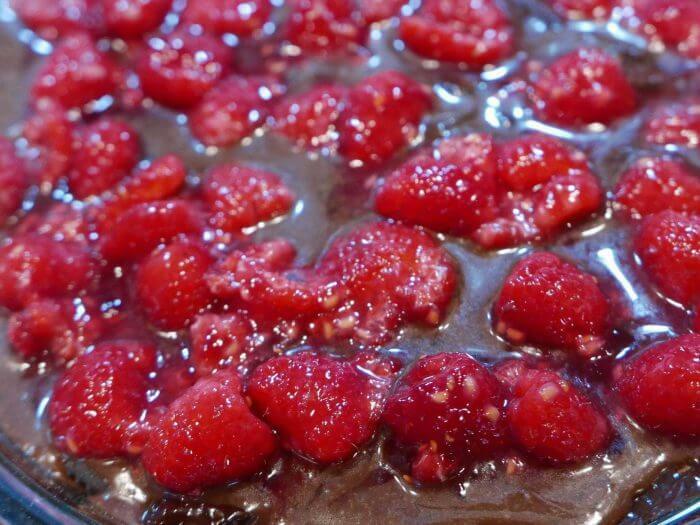 If you do not want the icing, then place your Raspberries in a bowl with 2 Tablespoons of the Raspberry jam and 1 Tablespoon of water and mix it up. I used the Smucker's Naturals. 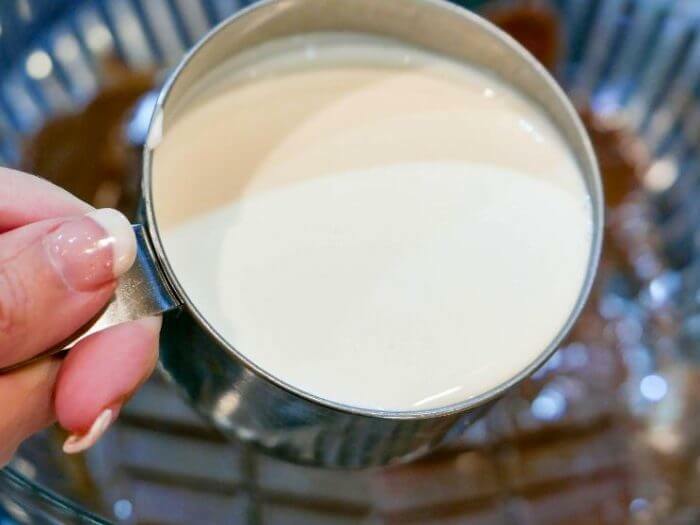 You can save this mixture to put on top of the icing, or you can place this directly on top of the Recipe for Chocolate Ganache that you already made. The icing is easy peasy with the bag of buttercream icing from Pillsbury. I added 1 Tablespoon of Folgers® in the icing, and I added a butter alternative instead of butter to have a dairy free icing. Then I placed it on the chocolate ganache that I made in the microwave. I placed the raspberry mixture on the top and then it went into the refrigerator for 4 hours until it was firm. This is an amazing recipe. I can't tell you how many requests I had for seconds and thirds.